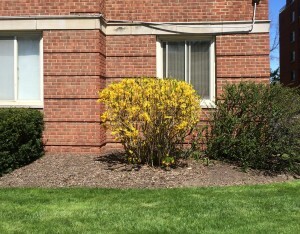 To paraphrase an old song, “Oh, give me a home where a plant can roam…..” As I drive around our city, I see forsythia everywhere but rarely does it look its best. In fact, it often looks as though it has been sent to detention, no handcuffs but severely chastised. The other scenario is that it has been the victim of a very strict etiquette teacher – told to sit primly in a straight back chair with spine erect, hands folded in the lap, and feet tucked under the chair. Once in a while I see forsythia arching its branches to catch every bit of sunlight, glorying in its ability to spread out according to its natural urges. So, why then, does it rarely look like this? It’s mostly a matter of siting. 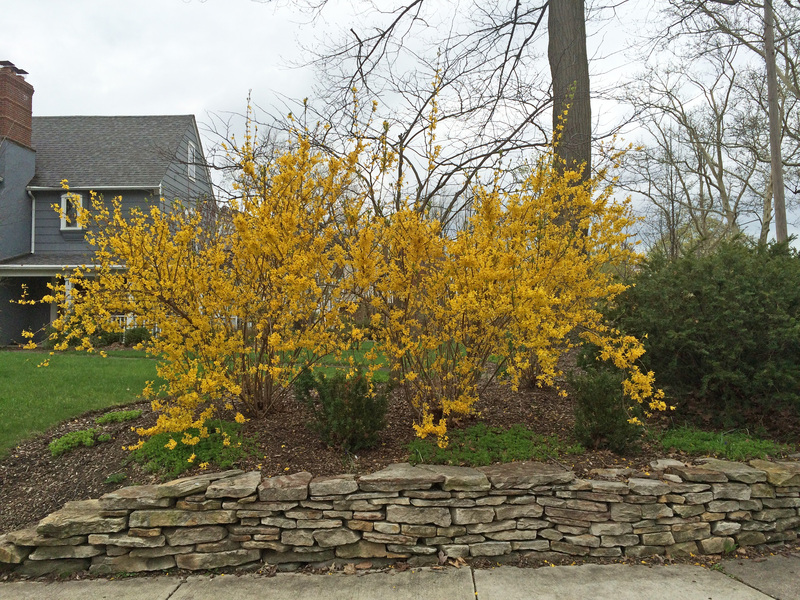 When most forsythia plants are purchased, they are a fraction of their mature size and those buying them cannot foresee how much space they ultimately need. Thus forsythia is often planted close to driveways and sidewalks, spaces upon which it quickly impinges. The plants don’t know that they aren’t supposed to keep growing. Due to this natural impulse, owners know only to cope by butchering the poor things. 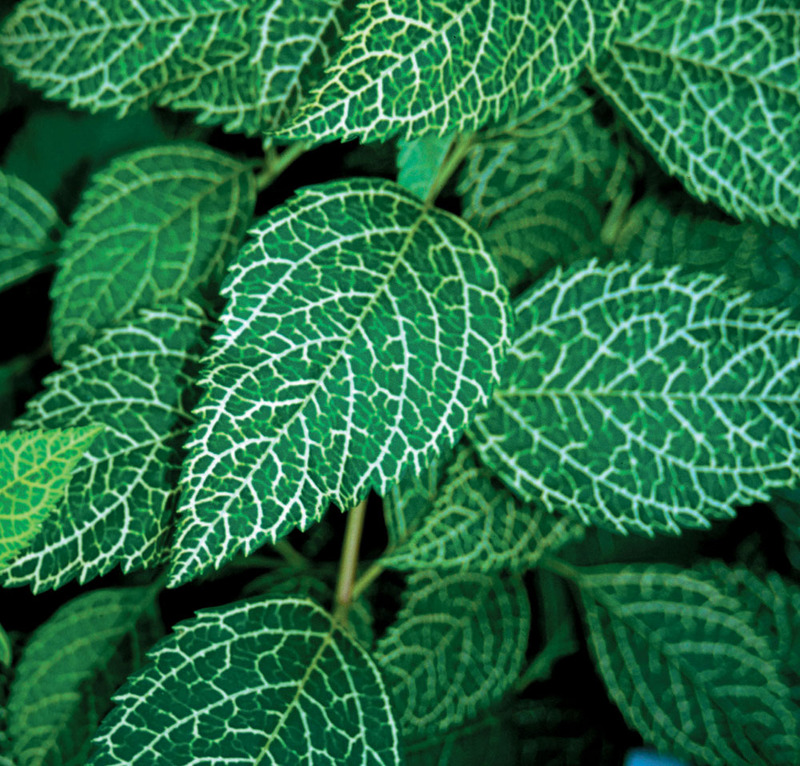 A better alternative is transplanting them and selecting a plant that will still fit that space when mature. 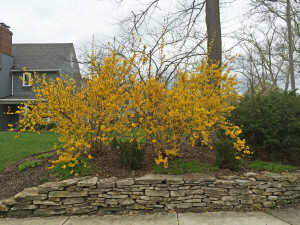 The bright yellow forsythia raises our spirits in April and May in the Cleveland area, a time when rain and cloudy skies are frequent occurrences. Most forsythia has only one season of interest but ‘Kumson’ is a cultivar with variegated leaves that are interesting for all of the growing seasons. I always try to pick plants with at least two seasons of interest, if not more. Landscapes that continually change give us a reason to spend time in them, watching and enjoying those changes. 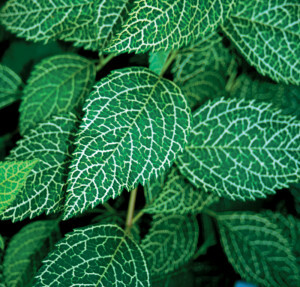 How many plants do you have that offer at least two of these elements: flower, fruit, colorful foliage, or bark?